Congressman Jim Jordan (R-Ohio) co-chaired a joint subcommittee hearing Thursday titled “Terrorism and the Visa Waiver Program” with Chairman Ron DeSantis (R-Florida) and his Subcommittee on National Security.During the hearing, Rep. Jordan questioned Kelli Ann Burriesci, a deputy assistant secretary at the Department of Homeland Security, about the number of visa waiver overstays in the U.S. and the number of individuals who traveled to Syria before using the visa waiver program. Burriesci was unable to answer his questions during the hearing. Along with Burriesci, Brian Michael Jenkins, president of the RAND Corporation; Janice Kephart, a director at MorphoTrak, LLC; and Ken Gude, senior fellow at the Center for American Progress, served as witnesses. 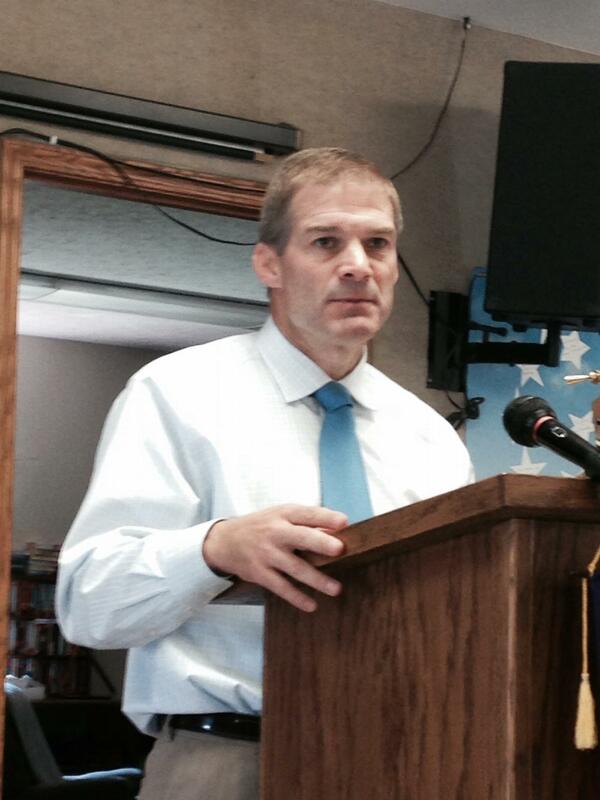 Click here for video of Rep. Jordan’s Q/A with Deputy Assistant Secretary Burriesci. http://www.infowars.com/vidThe Deputy Assistant Secretary for the Office of Screening Coordination in the Department of Homeland Security had one job Thursday: answer questions about the review of Syrian refugees. “I would like to see if you could give us some numbers, so that the committee and the American people have this information,” Ohio U.S. Rep. Jim Jordan, co-chairman of a joint subcommittee hearing on “Terrorism and the Visa Waiver Program,” told senior DHS employee Kelli Ann Burriesci yesterday. “I’m sorry, I didn’t bring any of the refugee numbers with me, because I was prepared to talk about visa waiver, but I can certainly have us send that to you,” she replied. “Do you know how many Americans have traveled to Syria in the last year?” Jordan pressed. “I don’t have that number on me either,” Burriesci said. “I don’t have that number on me,” she said. “How many visa program overstays are there currently in the United States?” Jordan asked. The exchange clearly frustrated lawmakers. “And the two biggest issues we’re dealing with right now, we had these terrible tragedies, these terrible terrorist attacks, and we’re talking about the refugee issue and the visa waiver program issue, and you can’t give us any numbers on either program?” Jordan questioned. “So when I ask you how many overstays of the visa waiver program may have traveled to Syria before they got here, do you know that number?” Jordan continued. The question prompted Burriesci to attempt to steer the conversation into the details of the program, but Jordan wasn’t having it. “Do we know if that person who’s here today, maybe not even on an overstay, do we know if that person has been to Syria before they came to the United States? Do we know that?” he questioned. “ … I don’t know …,” Burriesci replied. After a brief exchange, a frustrated Jordan tried to coax other information. “How many American citizens are on the no-fly list right now? Can you give me that number?” he asked. “I know there are American citizens on the list. It is an extremely small number, but I don’t have my numbers with me …,” Burriesci said. Burriesci, a 1997 graduate of Binghamton University, struggled with other simple questions, as well. U.S. Rep. Jason Chaffetz, of Utah, also tried to pry out information to no avail, according to a video posted to YouTube. She couldn’t explain whether most people come into the country by plane or by vehicle or on foot, how the department tracks those who leave by car, the number of people who have come in legally and overstayed, the departments or agencies that have access to the list of people who overstay, the databases the list is entered into, or how DHS asses potential threats among those who overstay. Chaffetz pointed out that the subcommittee never requested to speak with Burriesci to begin with, and made it clear her non-answers to important national security questions aren’t going to fly. “The request we sent was for (DHS Secretary) Jay Johnson, and Jay Johnson sent you as the expert on these topics, so this is why I think … Mr. Johnson, the secretary himself, needs to come answer these questions,” he said. Ironically, Burriesci touted her experience and “preparedness” for the 30-something’s blazing-fast path through the ranks of the department.